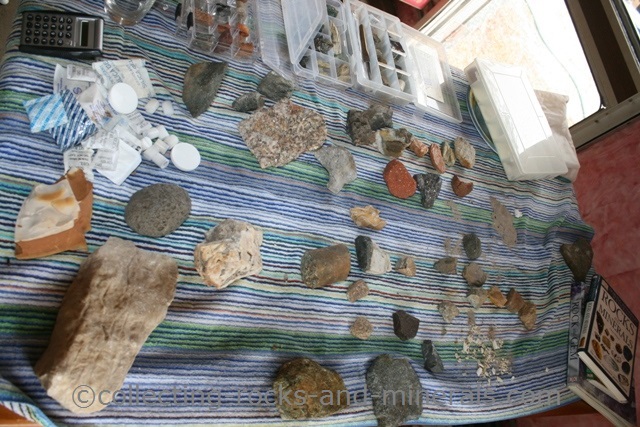 On this page you have some tips on how to organise your collection. 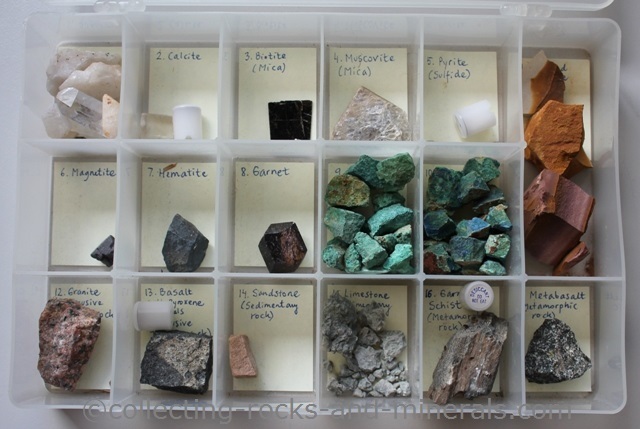 Once you have your rocks and minerals identified, you need to organise your rock and mineral collection. This means labeling your specimens permanently. Get rid of the sticky labels that you put on them in the field and replace them with a dot of white paint (in an unimportant part) or correcting fluid - on top of which you can write the number. That number will link the specimen to its information in a catalogue. It used to be a card index, nowadays, of course, it is a computer. * Other details about the collecting spot, landmarks for finding it, contact details of the people you need to contact for permission, perhaps map references, local geology, key identifying features etc, etc, etc... the more the better. With computers, remember how easy it is to lose data. If your computer breaks down due to a virus or anything else and you need to reinstall everything including Windows, you will lose all data you had on that computer. So make sure you back up. Back up regularly, after every change you've made, and back up on many devices. Do not trust one backup device only! Backup devices typically last roughly as long as is their warranty period. After that, they often do break down! There are cases where you, for big bucks, can get your data restored from a broken backup device. But there are also cases where you have lost the data permanently. So, have three-four different backup devices where you regularly back everything up!